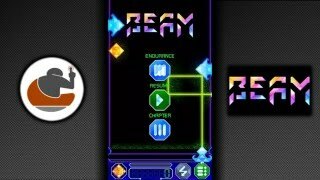 BEAM is an arcade puzzler. 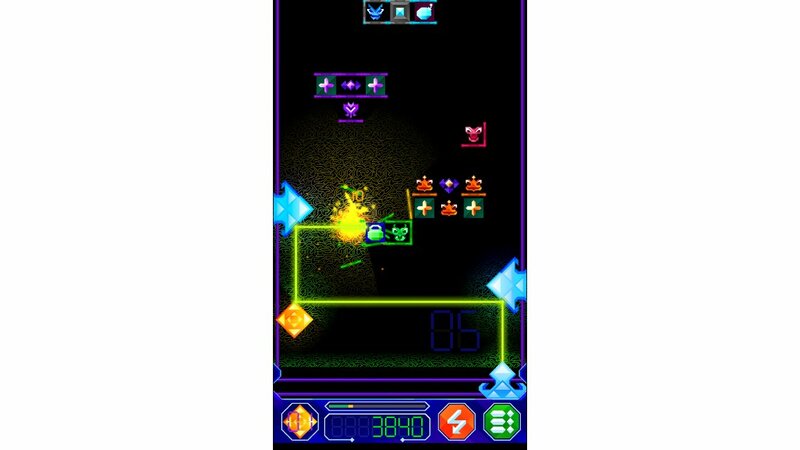 Think Space Invaders that ate Tetris, with Lasers. Puzzle Heads are invading with their light mazes. Fortunately you are equipped with an amazing combination of mirrors and the beam. Reflect the BEAM to find the Puzzle Head's weak spots. Your lives are also mirrors, but use them wisely. Level 15 and up still need a lot of work. I know this. It is not finished yet. - in game hints for ultimate beam etc. I actually really like this game as a whole! The concept is unique and interesting, and there are enough different mechanics that help to mix up the gameplay quite a bit. I especially like the moments where I have to reflect off of one color's walls in order to access another color's. I felt like this game picked all the right parts of my brain as I played it, and I'll likely see myself playing it again! All in all, though I like the style. I love the way the beam interacts with literally everything (including the tutorial windows and title screen). I'd be interested to see where this goes in the future! Hey! Thanks for giving the first roast. Much appreciated. Your point about the life crystals is a good one. I have really deliberated over how to use them. The attack from the top I think is important. I do not want to lose that. Which is why the free moving crystal is needed. The random generation of puzzles ensures that there is always a way to destroy everything - no closed cells. But it means that the open side can on occasion be the top side (there are also puzzles which only have an opening at the top - these are bastards I know, might get rid of all of these). Then there are other mechanics - for example bombs. These can be good or bad. Bad bombs destroy angles that you need to get to a puzzle head. But - if the life crystals do not pop if they touch puzzles you can just shove one of those in there and an important mechanic (bad bombs) is broken. These are opposing forces in the game play. But I still really do value your point about the life crystals being frustrating. So - I am thinking that I need to soften the punishment. What if i made it so that the life crystals are not destroyed if they touch, but they simply return to the stack? So the only way to loose lives is if the puzzles reach the bottom. I could also reduce the size of the crystal while it is in play (I did recently enlarge it to give a bigger reflective surface)? Would be great to hear your thoughts on these options. I think the two solutions you proposed for the life crystals are good ones. 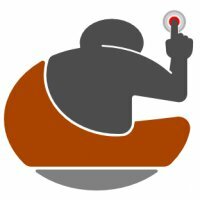 If it behaved less like a resource to gain and lose and more like an additional game mechanic to make use of, it might go a long way in terms of easing frustration. For me, when it comes to limited resources in games (especially in puzzle games) I have a bad habit of hording them for as long as possible "in case I need it later," and then end up just never using them. I'm fairly certain a lot of players tend to think this way as well. Is there ever an instance when using more than one life crystal at the same time is a good idea? I feel like, given the pace of the game, that might be really tricky to coordinate. If that's the case, maybe just having a button that you can drag the "one-and-only" life crystal out of whenever you need it would make more sense than earning one by getting X points and losing it to a silly mistake that's easy to make when you're starting out. Then, if the crystal gets hit, it'd just return back to the button for re-use instead of going away forever. I also think shrinking the size is a very good idea. I'm not sure how much it would affect gameplay, as you're right in the fact that it gives you less room for error in placing it, but I think it's worth experimenting around with the size a bit until you find a happy medium. If you make it small, perhaps players might find it a lot easier to put the burden of reflection precision on the act of dragging the life crystal around with a beam already on it, rather than moving the side arrows to find the right spot on the crystal. Hope this all makes some kind of sense! Bruhh tell me why you have the nerve to copy a 1990s game. This game looks awesome! Hopefully you're still working on it? I noticed that the download link has been made private. I would buy this when its done, though!